In a little over four months, my book will be out in the public in paperback and electronic forms. It gives me chills to think about this fact. It is a lifelong dream to publish a book, and I’m excited to accomplish this goal before I turn 40. (I’ll even have a few months to spare!) While I am a co-author in the book The Mother of All Meltdowns, this will be my first solo book. It will also be my first traditionally published book. I honestly don’t remember when I initially came up with the idea for Simple Giving. Let’s just say it was a few years back. I know that I wanted to take what I was writing about philanthropy on my blog, another jennifer, and expand on it. I know I felt a constant pull to give more and to share all the stories I was finding through the Philanthropy Friday series on my blog in a bigger way. I know I found a community of world changers that spanned the globe who inspired me to push myself further. I finally got the nerve to ask my then father-in-law and seasoned literary agent if he thought I should pursue my idea. He not only liked the idea, he offered to represent me. You never know what will happen with your goals and dreams if you don’t pursue them. It took me a long time to finish my proposal, never mind the actual writing of the book. When you work on something so close to you personally, fear can often rear its ugly head and get in the way of your progress. Other priorities – like work that actually pays, writing, parenting and attempting to have a social life – push the big scary stuff to the back burner. I wrote a post back in March of 2013 about fear and writing. There were a couple of times that I just had to get away and write without distraction. I was fortunate enough to have my parents take my kids for days at a time so I could retreat from the world and immerse myself in my book. Those were the times I got the most research and organizations done, along with some much needed free writing. And then I came to the realization that my marriage was ending. After one Sunday evening conversation, reality set in. I woke up the next morning feeling a shell-shocked. I remember getting my boys off to school and sitting down at the desk in my home office. I started the computer and stared at the screen wondering what I would do next. A million things were running through my head. I opened my email and there, waiting for me in my inbox, was a draft contract from my publisher. I had known it would be coming for a few weeks, but the contracts department was backed up. It came at a time when I needed the reassurance that everything was going to be alright. Just a few weeks later I traveled to Nicaragua with WaterAid America. I was nervous about leaving my kids so soon after telling them that their father and I were separating, but that trip came at a time when I needed to get away and get back to basics. While I can’t say that everything went as planned in the writing of this book, I can say that it all worked out for the best. Simple Giving is much better because of the extra time it took and the experiences I had along the way. In fact, the story that brings the entire book together is about a wonderful community I joined after divorce – that also happens to be my gym – that allowed me to bring my passion for global issues into an outdoor water-themed workout based on my experience in Nicaragua for World Water Day in Maine. Maybe there was a plan after all. Simple Giving is available for pre-sale on Amazon, B&N, Books-A-Million and Indiebound. 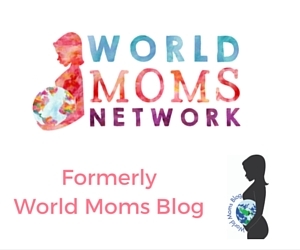 This is an original post written for World Moms Blog by Jennifer Iacovelli, of anotherjennifer and author of Simple Giving. Is there a dream that you have but are afraid to pursue? Jennifer Iacovelli is a writer, speaker and nonprofit professional. Based in Brunswick, Maine, she’s a proud single mom of two boys and one Siberian husky. Jennifer is the author of the Another Jennifer blog and creator of the Simple Giving Lab. Jennifer is also a contributing author of the book The Mother Of All Meltdowns. 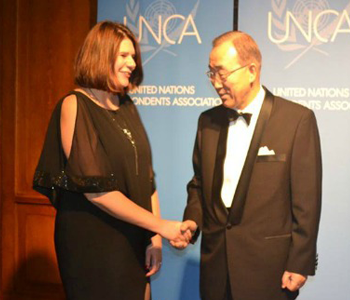 Her work has been featured on GOOD, BlogHer, USAID Impact, Feed the Future and the PSI Impact blog. 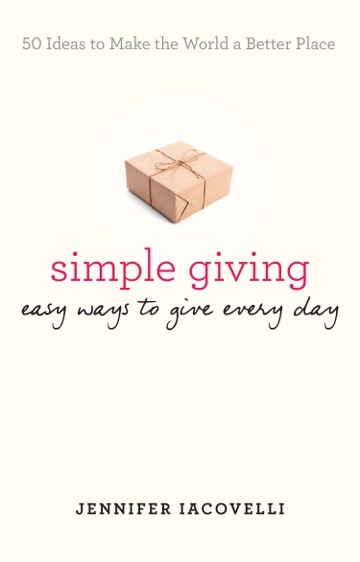 Her latest book, Simple Giving: Easy Ways to Give Every Day, is available everywhere. Her passions are writing, philanthropy, her awesome kids and bacon, though not necessarily in that order. « PORTUGAL: What Makes A Home? Wow – how very exciting for you Jen! Looking forward to reading it – Good luck!! “When you work on something so close to you personally, fear can often rear its ugly head and get in the way of your progress.” Yes! I’m going through this right now with working on my little book project, which is very small compared to your book, Jen (a REAL book!! I can’t express how excited I am for you). But you just have to push through. I have to keep reminding myself that the worst that will happen is no one will buy it. But it’s better than letting the fear get to me and doing nothing. Congrats again! Exactly, Bev! You’ll never know what will happen if you never try. Good luck with your e-book. I can’t wait to read it! Lovely to see one of my very fav people in one of my fav places … cannot wait to have a copy of this. Your heart and your passion are a true inspiration! There really is a plan for all of us. It’s amazing to watch it unfold. Thanks for your support, Purnima! It is incredible that you could achieve all of this whilst going through such a huge life change ! Congratulations! Thank you, Jess! It’s been quite a journey. The story of your life and your dream for this book, is truly inspiring. You and I know, that even in our darkest moments- hope arrives just in time. THIS book… will be the most passionate prize of all your accomplishments. It not only will fulfill your lifelong dream, but you will always look back and see where triumph and victory won over defeat and despair. You are a walking testimony to that very truth. I never thought about it that way, Chris. Thank you. I hope my kids see the same thing some day. Love you so much, Chris! Good luck with the book!! I’ve been following you along, and you are such a strong mama. I look forward to reading it! What a story! I admire your strenght Jen. Yes, we definitely need to pursue our dreams if we wish them to come true. Well done on the book. I’ll make sure to get it as soon as I can. To write a book was also my childhood dream, and my first book get to published in paperback form came out 4 years ago when I was 30. I have authored 3 other books ever since. But the reality of being an author is not like what I imagined. I feel a little sense of…I don’t know…loss? Or disappointment? Maybe we can talk some time.